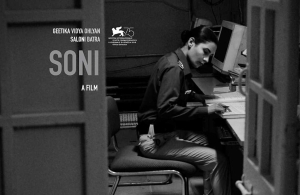 In Soni, debutant director Ivan Ayr explores a variety of issues related to gender roles and expectations in modern India, through the lives of two policewomen in New Delhi. The film also touches upon police brutality and India’s poor track record of violence against women. And, all of this is done in an understated manner without the preaching or sensationalising that one sees in mainstream Hindi films. Ayr also shows us the inside workings of a police station in a manner that Indian films rarely do. It is no wonder that since its world premiere at the Orizzonti Competition section at the Venice International Film Festival in August 2018, this Netflix release has made a mark on the film festival circuit.